Aries or the Ram is the 1st sign of the zodiac. Aries governs the people born between March 20 and April 19. In this article we will list well-known Aries eminent personalities and the positive and negative personality traits. Being symbolized by the Ram, it is highly understandable that one of the most remarkable Aries personality traits is being headstrong – and that does not merely apply to situations where this sign might feel that they are trapped in. Adding to that is the sign of fire that influences Aries heavily and you will get one fiery and bold person. Aries sign is willing to do just about anything they set their minds to. If they need to ram you with their horns just to get you out of the way and achieve their goals, they may just do that. The sign of fire also makes trendsetting a natural Aries personality trait. If they want it, they will do it with all the confidence they can muster and they would not care what others think. Anything that does not benefit them is not worth their time. The Aries’ ruling planet is Mars and this is what makes them a driving force that is almost unstoppable. While this very trait is good for an Aries’ career, it might not be the same when it comes to their relationship. The unstoppable Aries personality trait makes them very argumentative, aggressive, and even confrontational. For one, you would not want to argue with an annoyed Aries, because they will come to you and face you with all the weapons in their arsenal. 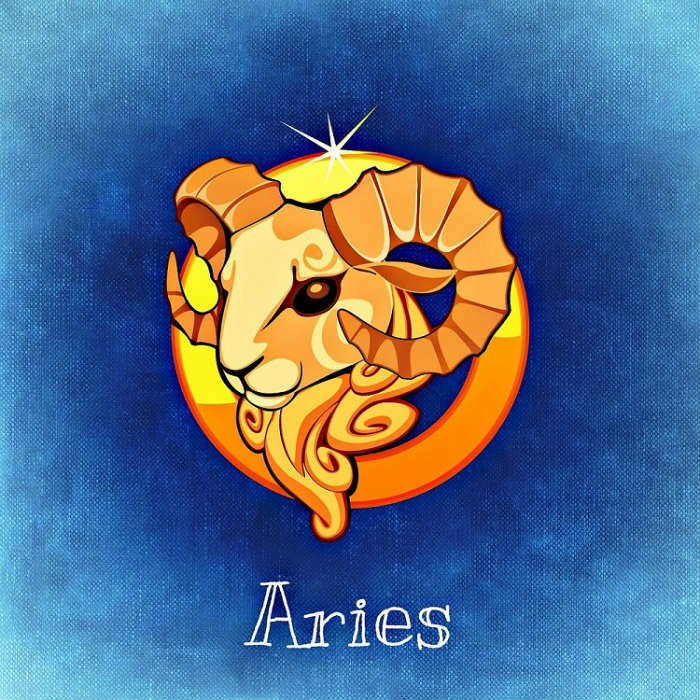 While the above-mentioned Aries personality traits might just scare you, there is also another side to them that you can definitely rely on. People born under the Aries sign are responsible, in that if they truly value you, you do not have to ask in order to get what you need. It might seem to you as if the Aries do not care an inch about your needs. However, what you do not realize is that Aries is already busy working on it so that you will be notified right away once everything is ready. Aries makes sure that this is done even before you start really worrying about it. 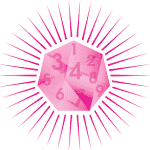 With Aries being enthusiastic, being adventurous comes as a natural Aries personality trait. Aries is rarely intimidated by new things. In fact, they will be more than excited to explore it and take the exploration of a challenge. It gives them the chance to be first on this new thing and the Aries loves that chance. Going on adventures also awaken the excitement of Aries as they look forward to discovering and basking in the goodness that the new things can bring to them. Of course, they are also willing to share with the world what they have experienced. They might even take the time not only to share but also guide those who are willing enough to follow the Aries’ footsteps. Aries do not need anything to drive them. If enthusiasm is what you need, you will get loads of it from an Aries. They are like a bottomless well of energy and if ever there is a time that it seems dry, you may say that it is one of an Aries’ worse days. On normal to a very good day, your typical Aries will appear to be very vibrant, exciting, and even talkative. Such colorful and fun Aries personality traits to witness. To a friend, you can pretty much expect to go sleepless if you intend to spend the night with an Aries friend. The Aries will not waste precious time to catch up with a dear friend and even stir up a new plan. Of course, the plan will be gladly spear-headed by the Aries. Another Aries personality trait is being self-reliant. An Aries do not like to depend on others, not if they can help it. Also, if trapped in a situation where they feel like they need help, the Aries being a proud sign will do everything to get the help they needed without directly asking for it. To those who know the Aries temperament well, they will easily recognize this as a call for help and offer help. This is the most convenient path to take when being with a helpless Aries. Either that or wait until forever for them to actually ask for help. Then again, this is not to say that the Aries is always proud. Of the twelve signs, it is true that the Aries is one of the proud ones, but Aries also knows when to play things a little subtler than usual. There is this side of Aries that is willing to admit weakness but only to a very trusted company. Another thing that makes the Aries personality trait very endearing is their natural desire to protect those whom they truly love and value. Of course, at times the Aries might seem harsh to them. At the end of the day though, they are still the loved ones. For an Aries, only they have the right to hurt their loved ones and no one else. If anyone else that is not included in the family decides to hurt their loved ones, then they must duck for cover. This I mean literally because while Aries can be protective of their loved ones, the exact opposite side is shown to an Arian’s enemy. An Aries who wants to protect a loved one will not hesitate to hurt or take revenge to others just to set an example. Aries is also very frank and can even come across rude to some people, much like Aquarius. That being said, expect Aries to accompany you to wherever you please to go or whatever you please to do. But expect Aries not to be afraid to let you know what they think in case you mess up and they do not like what is happening. They will not bother trying to choose their words, because they know that their mood alone can easily ruin their self-control. The Aries sign is fearless, which makes it quite the force to be reckoned with. If it decides to charge towards something that it intends to acquire, it will do so with all its might. It will not even hold back. If it sees an obstacle on its way, it will do just about everything to get it out of the way. If the obstacle gives the Aries quite the trouble, you can be sure that Aries will not back down. Instead, it will take a pause to find a way how to get around it. It does not matter what kind of force waits for the Aries on the other side as long as they get to it. The Aries will do its best to get all these done in a short time. If it takes a little too long, this will start to ruin the Aries’ mood making it all the more desperate to consider other measures. Being the first sign of the zodiac, the Aries do not truly mind being first in anything. In fact, it is often what they intend to do and they are proud of it. This trait is driven by the sign’s amazing energy, making it quite the unstoppable force. Also, they would see to it that their trend-setting will not be missed by the people. By the people, we are talking about many, not just the ones that surround them. Aries will make the effort to trend-set and make sure that it is seen. This is one of their happiest moments when their efforts are seen and appreciated. Of the negative Aries personality traits, one that sticks out is being headstrong. If it means having to fight a family member or a good friend, then so be it. The Aries will stick to its guns no matter what. This trait may lead a loved one to feel bad against the Aries. The Aries, however, is most often not bothered by such emotions. The Aries will keep going for whatever it wants, no holds barred especially if they can see success right at the end of the path they intend to take. What makes this trait highly negative is that when blinded with their goals, Aries is more than willing to trample over others. One of the bad traits that Aries have is their concern for self-advancement. For them, goals and ambitions come first. This trait makes Aries create many enemies along the way. Do not take it the wrong way, though. Aries does not intend to make enemies, however, the traits that make them up often leads them to such situations. Then again, this does not faze an Aries. They do not even care about it. Expect an Aries not to waste their time sitting down and feeling remorseful about it. Even if a situation puts an Aries and a trusted friend together, Aries will make sure to gain advancement first and will be even proud of it. The only time that Aries realizes they messed up is when a loved one expresses displeasure or hurt towards the Aries’ deed. Aries is a very impatient sign. If something hinders an Aries from a goal or prolongs the process, you can be sure to see a very distressed Aries. As an effect, the Aries might resort to a more desperate approach. If things are uglier than expected, you will see the Aries leaving the plan altogether and just shifting its endless energy to something more viable. This trait turns some people born under the sign of Aries into someone who cannot accomplish anything for some time due to unfinished tasks. An Aries do not take no for an answer. Also, one thing to keep in mind is that they do not like being confronted and then told no, or told what to do. Try to do this and you earn yourself a lifetime of an Arian grudge. Yes, Arians hold grudges and if they so wanted to see your downfall, they are the kind to spare time and energy to see it through. It sounds bad, but this should serve as a warning. If there is a sign in the zodiac that is more than capable of plotting a revenge, you can be sure to expect the Aries to do it. They have more than enough energy to use in plotting revenge and nurturing grudges, and so, it shall be done. While you have been seeing many traits that paint a picture of an Aries, you might start thinking of them as one despicable sign. However, one thing that misses the eyes of many whom the Aries have hurt is the fact that many Aries are insecure. This is often caused by their competitive trait, which sometimes is not healthy anymore. This is true especially for an Aries who cannot practice control over their own moods and actions. And so, if you are friends with an Arian, try to take the time to get to know them. It is worth it. Surely, you will get to witness the shifting mood, the impatience, and sometimes selfishness. However, Aries will highly appreciate you for taking the time to understand and guide them. They may not appear to like your suggestions or the way you tell them what to do with their lives. But to an Aries who has grown into adulthood and is more capable of being considerate to the people around them, this is a pleasant surprise. It is as if telling the usually strong and reliable Aries that for once, they can take a rest from being tough and strong. For once, they can let their guards down and just pour their broken hearts out. Doing so will make an Aries learn and appreciate your value as a friend or guardian. It may seem tough at first, but the friendship of a protective Arian is worth it. Remember how a Capricorn is highly competitive? You can be sure that in a workplace, it is often the Aries and Capricorn waging war against each other. What’s more, Aries will not even think twice about playing dirty, especially if being truly threatened by another imposing figure at work. An argument or a fight may ensue as it involves a very competitive Aries. If beaten or embarrassed, Aries is most likely to take offense personally. In an environment where an Aries does not have a competitor, you will still see Aries turning it into a game where competition is involved. For them of course, it will not be as fun compared to having someone willingly compete. However, it is still a competition and this is what drives Aries to do their best at work. If Aries wants something now, they must have it right away. Either that or Aries will be more than willing to demonstrate to you just how scary they are when angry because of impatience. Give it to them or they will do anything to have it. Not only does it apply to life goals, it also applies for when an Arian goes shopping or buying groceries. If they want it, they will grab it and will just choose to take care of the consequences once it stares them right in the face. This, pretty much, sums up the Aries personality traits for you. It is true that the negative Aries personality traits may seem scary and even off-putting. However, give the Aries sign a chance. Like mentioned above, there is a very good explanation for these seemingly negative traits of the Aries. Lots of us have our own sets of insecurity and so, you should understand even a bit of how an Aries feels. More to the fact that you know how being competitive can make anyone become hard and sharp as a stone. Use that knowledge to guide you if you are living with an Arian under a roof. Yes, you might find them intimidating and quite harsh, but it is always worth it to win their love and trust. 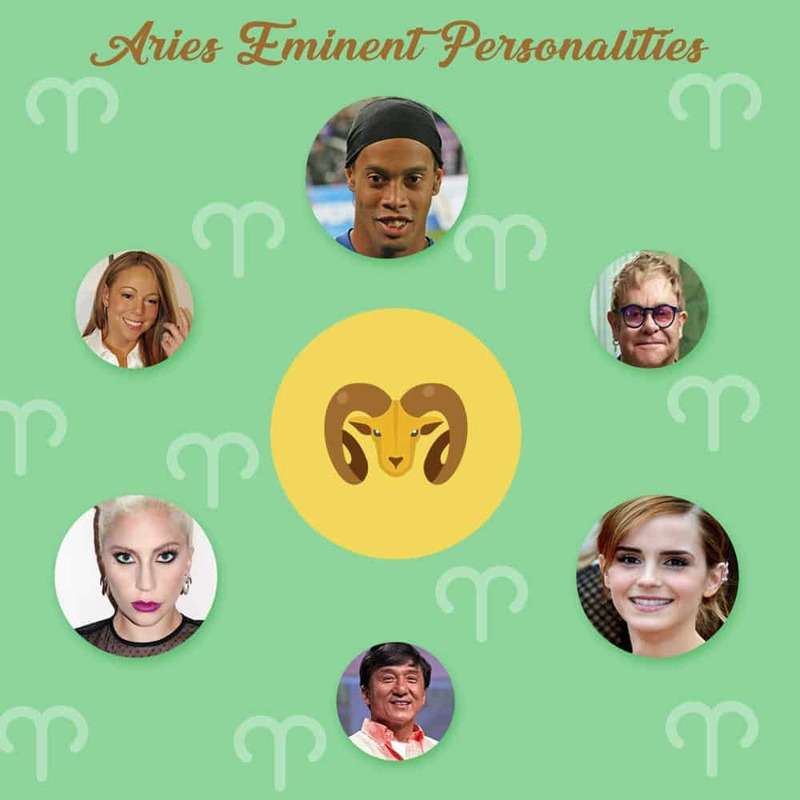 Leave a comment with other Aries eminent personalities!